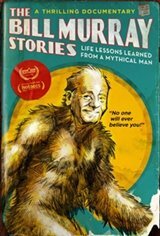 This documentary follows one man's journey to find meaning in Bill Murray's many unexpected adventures with everyday people. Featuring rare and never-before seen footage of the comedic icon participating in stories previously presumed to be urban legend. Whether it be singing karaoke late at night with strangers or crashing a kickball game in the middle of the afternoon, Bill Murray lives in the moment and by doing so, creates magic with real people.